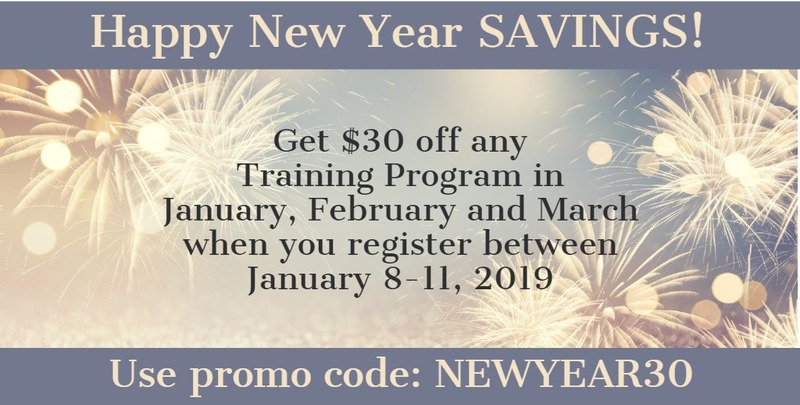 2019 Training Opportunities are Just a Click Away! Winter 2019 Academic Calendar by visiting www.sickkidscmhlearning.ca. Hurry this offer is only valid until January 11, 2019! *Valid on new registrations only. 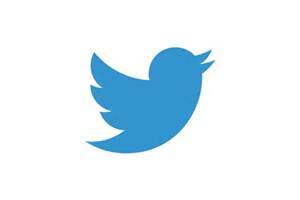 Cannot be used in conjunction with other offers, promotions, or discounts. Facilitators: Susan Geary, Ph.D., & Marion Langford, M.Ed. Description: This 4-day certificate program gives participants the opportunity to develop and enhance their supervisory skills through the 4-key supervisory/management-based modules that together build the Supervisor's skill set. Module 1 | Essential Skills for the New Supervisor (Jan 17). Module 2 | Leadership and Motivation for Supervisors (Feb 21). Module 3 | Holding Difficult Conversations (March 21). Module 4 | Building & Sustaining Your Credibility & Influence (Apr 25). Each module may be taken separate from the Certificate Program as a stand-alone workshop however, all 4 modules must be completed to receive the certificate. For more information on this Certificate, individual workshops, or the registration details follow the link: http://www.cvent.com/d/vgqwkp. Facilitator: Sara Marlowe, MSW., RSW., Counsellor and author of No Ordinary Apple and My New Best Friend. Description: By the end of this 3-day certificate program, participants will gain practice-based experience in facilitating mindfulness exercises and conducting inquiry. They will be able to identify considerations for leading mindfulness-based activities, practices and discussion, along with how to engage children and adolescents in mindfulness practice in individual, family and group therapy settings. For more information on this Certificate program and full registration details follow the link: http://www.cvent.com/d/8gq64d. Description: This 5-day Advanced Clinical Trauma Level 2 Certificate, created and delivered by Mr. Robertson (with recommendations from Natalie Zlodre, MSW., RSW. ), will present a theoretical framework of evidence-based and best practice approaches for individuals who have been traumatized. Mr. Robertson will provide theoretical, and applied steps to working with clients who have been implicated by trauma and will cover the clinical steps including intake, screening assessing, ground strategies and tool kits, case conceptualization formulation, and the application of CBT for flashback management reprocessing. Participants are encouraged to bring cases forward for discussion throughout the program. To further support the theoretical component, a significant portion of this training will involve role playing. For more information on this Certificate program and full registration details follow the link: http://www.cvent.com/d/kgqz5k. 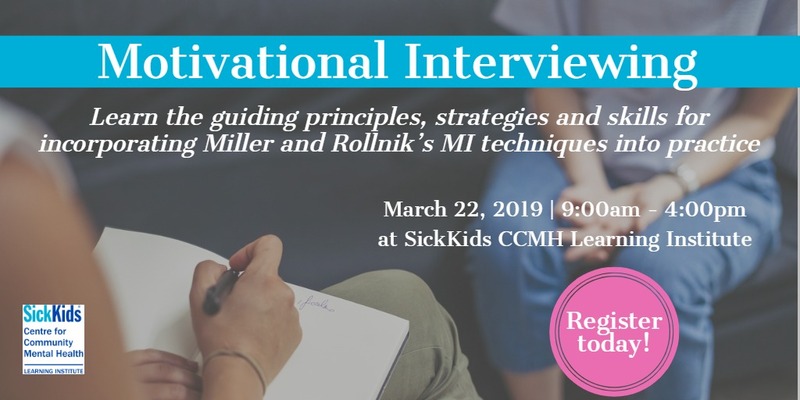 Description: Using a combination of self-awareness and conversational tools, participants of this workshop will have the opportunity to apply and practice the tools in a safe learning environment. Strategies on how to acquire effective listening and inquiry skills when engaging others in conversation, as well as how to develop clarity around needs assumptions during those conversations will be covered. Participants will leave the workshop with a communications toolkit that will increase confidence and preparation for future difficult conversations. This is learning module 4 from the Fall 2018 Management Certificate. This module may be taken separately from the certificate program as a stand-alone workshop. For more information on this workshop and full registration details follow the link: http://www.cvent.com/d/2tqyvk. 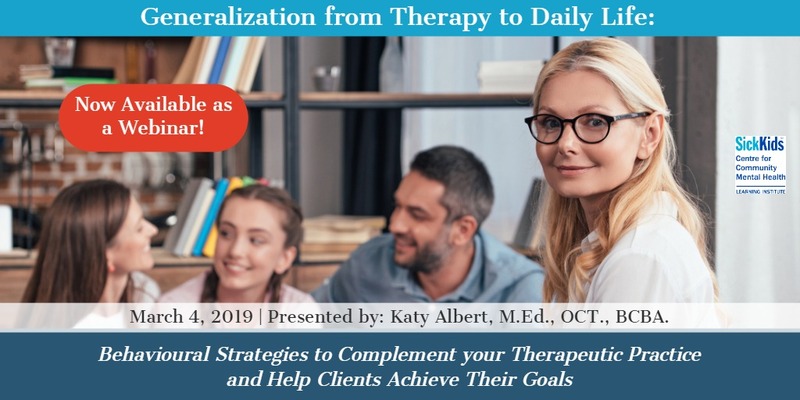 Description: This workshop will present a model of therapy that will shift participant’s theoretical framework to that of Attachment-Focused Therapy. This model will help assess adult attachment categories, recognize the impact of early childhood attachment experiences, guide clients through the process of mourning their losses and longings and use one’s self in the reparative process of therapy. Participants will develop awareness of their own attachment style and its importance in therapeutic work. For more information on this workshop and full registration details follow the link: http://www.cvent.com/d/6bqsvz. Description: This 2-part workshop will consist of a didactic presentation that will be supplemented with case examples and role play exercises to further enhance the full learning experience. In the first part of this workshop, focus will be on CBT models and conceptualizations of GAD, addressing cognitive restructuring techniques, including adaptations to thought records, probability re-estimation, and challenging beliefs about worry as well as behavioural techniques will be covered. The second part of the workshop will focus on CBT conceptualizations for multiple presentations of OCD. The facilitator will describe and demonstrate cognitive techniques to challenge obsessional thinking, as well as the utility of compulsive behaviour. 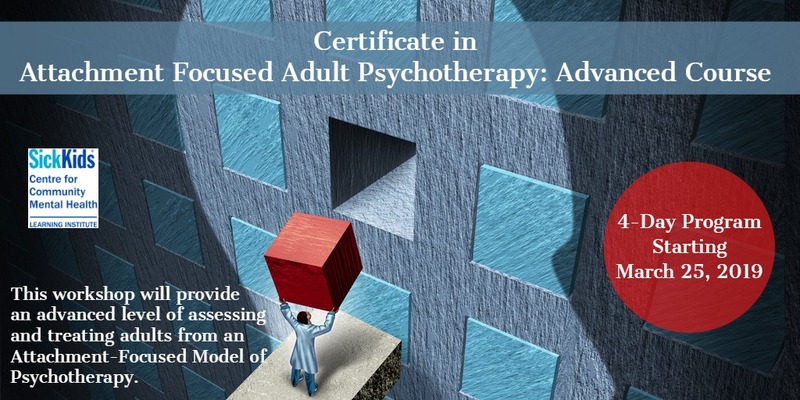 This is individual learning module 4 from the Fall 2018 Certificate in CBT Level 2. This module may be taken separate from the Certificate Program as a stand-alone workshop. For more information on this workshop and full registration details follow the link: http://www.cvent.com/d/rgq9z3. Description: Explore the background of how trauma impacts children and families and how best to work with these clients to identify myriad traumatic responses and encourage healing in the family system. 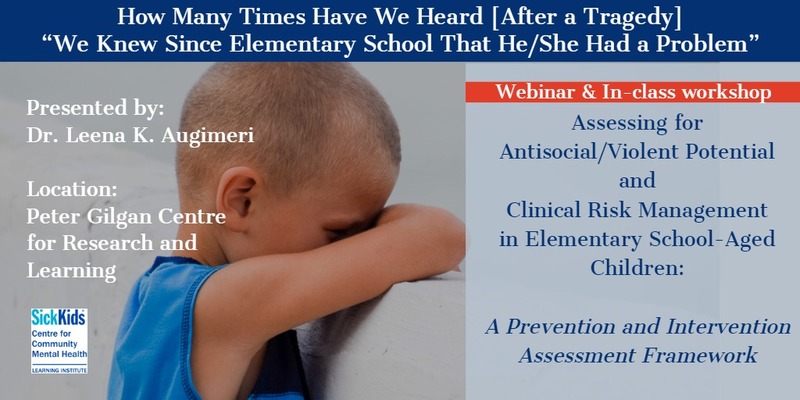 By the end of this workshop participants will be able to recognize the effects of trauma in children and adolescents, understand the many manifestations of complex developmental trauma and how to incorporate this understanding into their work. Ms. Lawford will provide strategies to assist in the stabilization and support of youth with traumatic histories as well as steps in how to use relationship in order to promote healing in traumatized children. For more information on this workshop and full registration details follow the link: http://www.cvent.com/d/2bqv3p. 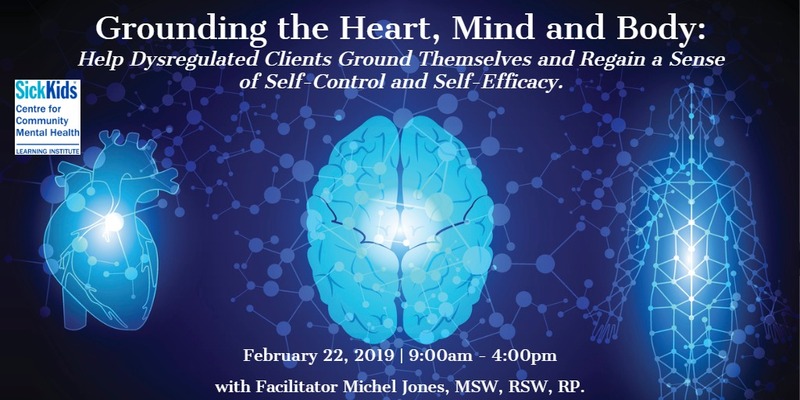 February 1, 2019 with Facilitator Michel Jones, MSW., RSW., RP. 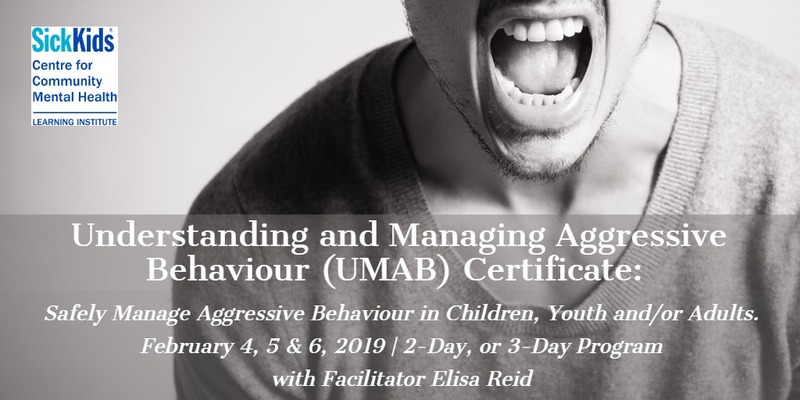 starting February 4 2019 facilitated by Elisa Reid, Asst. Lead Trainer for UMAB Canada. February 4, 2019 facilitated by Dr. Leena K. Augimeri, Director of SNAP Scientific and Program Development at the Child Development Institute and Adjunct Professor at the University of Toronto. 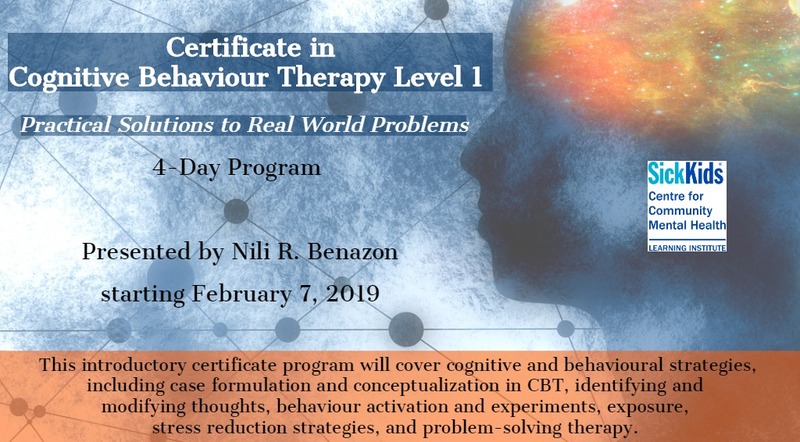 February 7, 2019 presented by Dr. Nili R. Benazon. 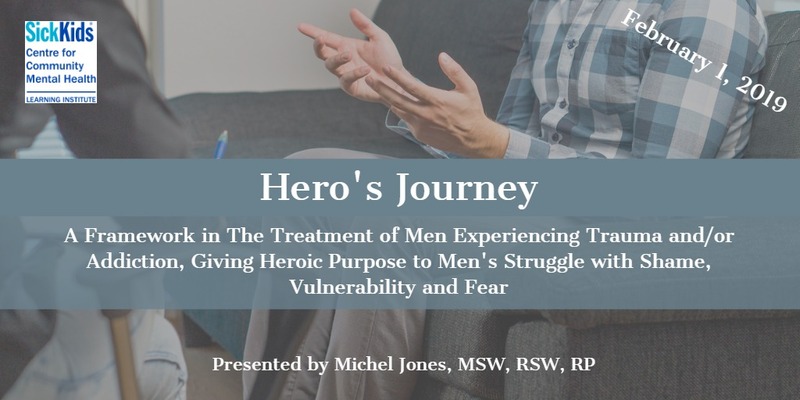 February 22, 2019 facilitated by Michel Jones, MSW., RSW., RP. 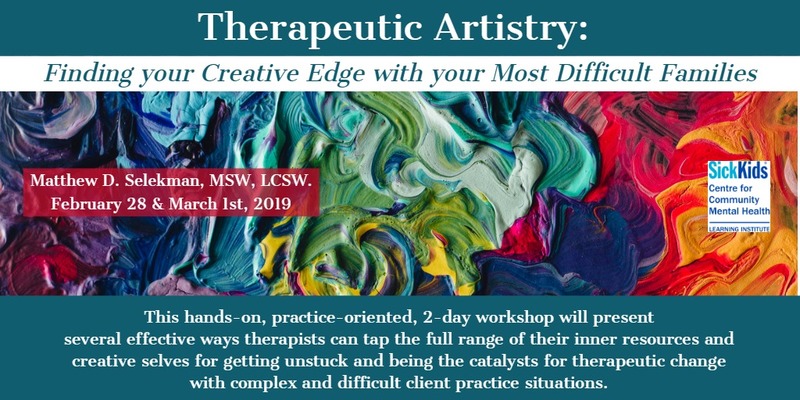 February 28 & March 1, 2019 presented by Matthew D. Selekman, MSW., LCSW. 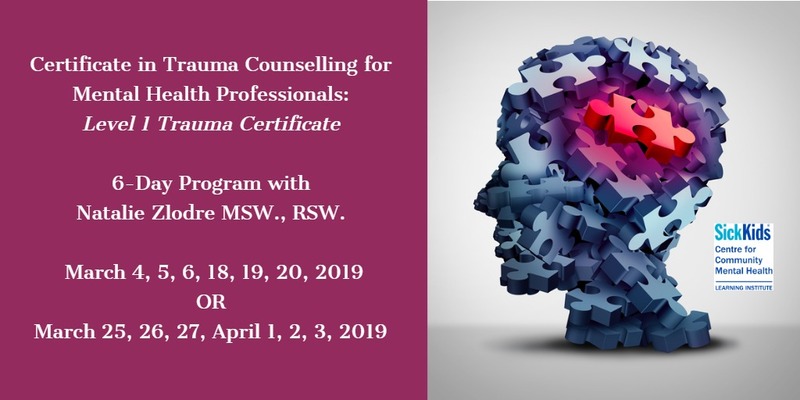 Certificate in Trauma Counselling for Mental Health Professionals: Level 1 Trauma Certificate presented by Natalie Zlodre, MSW., RSW. March 4, 2019 with facilitator Katy Albert, M.Ed., OCT., BCBA. 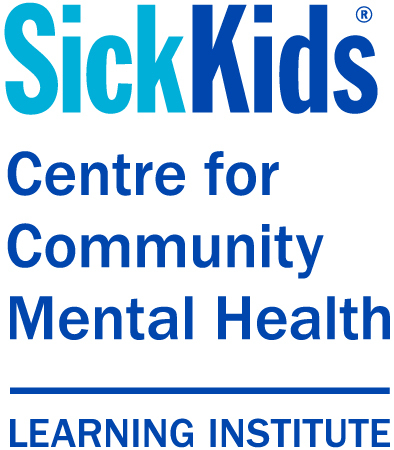 SickKids CCMH Learning Institute does not endorse any outside community events featured in this E-newsletter, these are provided for informational purposes only.